My best Halloween costume ever: a firefly in the 4th grade. I even took apart a flashlight and re-constructed it inside a Styrofoam bulb for my light-up tail, so I was literally glowing all day. Unfortunately, for someone who loves Halloween, the fact that I peaked at age 9 is sort of depressing. Clearly I need some inspiration, so I turned to the best place to find just about anything: the Internet. And as always, the trusty online world delivered with some truly unbelievable Halloween costumes. 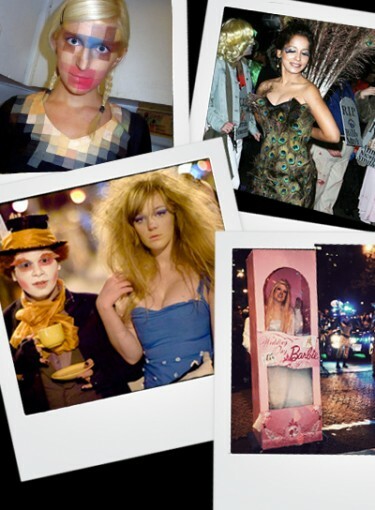 Check out the best Halloween costumes ideas ever. Since I’m a sharer — and I couldn’t possibly wear all the cool ideas I found, I put together a gallery of the best costumes out there. If you can’t think of what to wear this year, think of this as your go-to guide. Oh, and if you’re looking for me this Halloween, just keep an eye out for the girl in the jaw-dropping costume. Yep, I’m giving 4th-grade Jane a run for her money this year. Click here to see the best Halloween costumes ever.